Mommy's Idea: Win a KidsCraft Playhouse! I get some really fun things to try out here at Mommy’s idea and this was no exception. This sturdy playhouse is made of 100% recycled material and made in the USA. To make it even better, for every one sold, KidsCraft will plant one tree! Here’s how to win one of your own . . .
2. Come back here and leave a comment telling us one interesting fact about the company. Contest ends at 11:59 PM EST on Monday, June 7, 2010. Sounds like KidsCrafts did some fun things for Earth Day. I love supporting green companies. Thanks for the wonderful giveaway! I love that the idea for the company came from watching kids do what they do best...play. Not only are they eco friendly but they also give a portion of their profits to children's charity. I learned that they are partners with trees for the future. I learned that they products are made from recycled materials and they are recyclable when you are ready to through them away. I learned that the company gives a portion of all their proceeds to childrens charities. I learned that their cardboard playhouses are made in the U.S.A. using 100% recycled cardboard materials and they are 100% post-play recyclable as well. They also sell really cool star crayons. 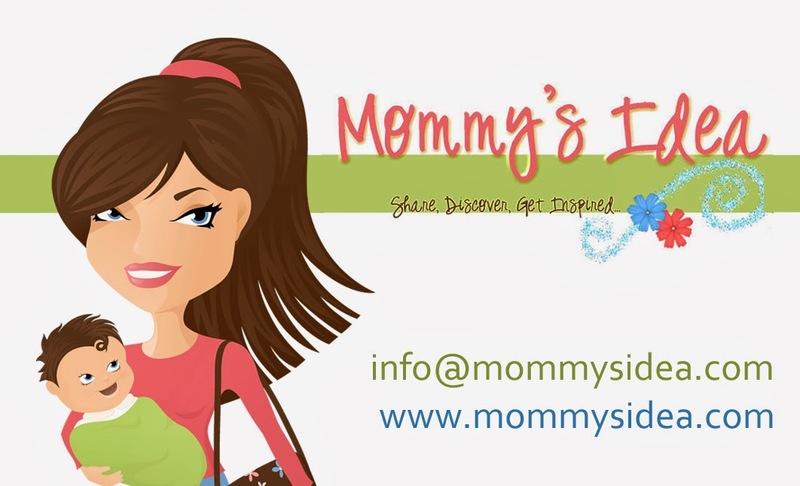 Signed up for Mommy's Idea feed or e-mail feed. I like that they donate a portion of their proceeds to children's charities. I learned that the company gives a portion of all proceeds to benefit children's charities. Thanks. I visited the Kidscraft site; I am impressed that they give a portion of their profits to children's charities. They are made in the USA and made out of 100% recycled materials. They are made from recycled materials. I learned that these are made in the USA and they can be totally recycled when you are finished playing with them. I learned that their playhouses are 100% recyclable. I love how they build their playhouses from recycled materials. I learned that KidsCraft Playhouses is dedicated to the health and welfare of children, as demonstrated in their corporate support of children's charities and fund raising activities benefitting The Rainbow House and The Empty Stocking Foundations! Thanks! I learned that they planted 100 trees on earthday last year! I think its wonderful that KidsCraft are supporters of The Empty Stocking Foundations. It's recycled material I can't wait to see who wins! i learned that their product is made of 100% recycled cardboard materials and 100% post play recyclable. i'm a fan of KidsCraft on Facebook! i follow KidsCraft on Twitter! They are made in the USA and of 100% recycled cardboard. I love that they donate 10% of thier profits to childrens charities! I learned KidsCraft Playhouses is dedicated to the health and welfare of children, as demonstrated in their corporate support of children's charities and fund raising activities benefitting The Rainbow House and The Empty Stocking Foundations. I learned that Kidcraft is headquartered in Myrtle Beach, SC and employs about 30 people. I am a fan of Kidscraft via Facebook as Jill Myrick. I am following Kidscraft via Twitter as jlsc123. I like the Creation Cottage for my two. I m following via Google Friends Connect. I like Kidscraft on Facebook. I learned that they support Trees for the future and that you can recycle their products after you are done with them. thanks. They give a portion of their profits to children's charity and they eco friendly. Both of these things are so important! A move to a new office left them with a bunch of big cardboard boxes that the kids went crazy playing with and this inspired the products. Their cardboard playhouses are made in the U.S.A. using 100% recycled cardboard materials, and best of all they are 100% post-play recyclable as well. They use materials that were recycled and they are able to be recycled. The playhouses are made wiht 100% recycled materials. I learned that the product is made of 100% recycled cardboard materials and 100% post play recyclable. Your company won a certificate for tree planting. Their Clementine Natural Soy Crayon Rocks fit little hands. The school supplies are all made from natural ingredients. I love that the playhouses are 100% recycled before and after play! Great use of kids creativity and imagination. It's good they can decorate it themselves and it becomes their own personal hideaway.